To easily determine how fresh your eggs are, all you need to test is if they float or not! Eggshells are porous and allow air to slowly in over time. As more air enters the egg, it gets lighter and lighter, which explains why it will eventually float. Eggs that stay at the bottom of a water are the freshest! In the freezer place the freeze pops standing up through the shelf bars. Keeping the freezes laying down makes cutting the tops off messy if sometimes the freeze isn’t melted all the day. Having them stand up leaves room at the top for a clean cut when you are ready to eat them! A plastic freezer bag keeps the cold air from making the ice cream rock hard. Try to push out as much air as you can before putting it back in the freezer. You won’t have to run your spoon under warm water to melt the ice cream anymore! It is so easy to turn your favorite yogurt into a cool treat. Take popsicle sticks and poke them through the top of the yogurt, but don’t push them to the bottom of the yogurt. Refreshing and healthy! Drape a dry paper towel over the top of a bowl of salad, and then cover it with plastic wrap to keep the lettuce fresh for a while week. Wonder how it works? The dry paper towel absorbs moisture from the lettuce, which is one of the main reasons why it wilts and turns soggy so fast. It is also important to get the lettuce as dry as possible before storing in the first place. Be active in the morning. From an early morning walk with your dog, or simply getting up earlier to do household tasks, getting moving in the morning wakes you up. I love doing a quick 15 minute workout routine before my morning shower, you feel way better throughout your day once your body is wide awake. It gets your blood pumping, giving you a rosy, healthy, awake-looking glow. Use ice-cold water. Old school trick, but still very effective. Splashing cold water on your face wakes you up instantly. You could also turn the shower very cold right before you get out and wake your entire body up, only if you’re brave enough to. Grab earrings. Wearing the right pair of statement earrings can help take unwanted attention away from your tired eyes. Small dangle earrings with a soft gem like mint, emerald, or amethyst will reflect your skin tones and make you look more awake. Put down the cell phone at night. Laying in the dark looking at your phone all night results in squinting, which results in bags under your eyes in the morning. Put your phone away and get your beauty rest. Remember the 20/20/20 rule throughout the day. If you’re unfamiliar with the 20/20/20 rule, its pretty simple. Take 20 seconds to look at something 20 feet away every 20 minutes. Doctors say it reduces strain and redness in the eyes. Eat fruit. Citrus fruits are pack with vitamin D and pick you up when you’re feeling sleepy. Grapefruits, oranges and lemons are the best! 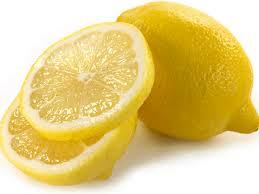 Sometimes just smelling citrus fruits can trick the brain into waking up your senses too. Wear dark sunglasses. Best way to hide those big puffy eyes? Big sunglasses! Not only are they fashionable, but they also help your eyes from squinting, tearing or swelling as a result of the bright sun outside. Get an allergy test. If you often wake up with puffy, tired, watery eyes then allergies may be the problem. Getting tested can reveal an allergy to something seasonal like pollen, which can make eyes perpetually tired-looking. Use eye drops, but sparingly. Over the counter eye drops shouldn’t be used on a daily basis, unless proscribed by a doctor. But on the days you are zoning in and out, a few drops in each eye can help wake you up and reduce puffiness and redness in the eyes. Salmon- Now this is one food that I do not eat, but I have heard that salmon is a great food that helps make hair grow. Fish is loaded with Vitamin D and protein, but it also contains omega-3 fatty acids that promote hair growth by keeping your scalp healthy. Instead of taking fish oil pills, why not treat yourself to a nice salmon every once in a while. Yellow Peppers- Yellow bell peppers have nearly five and half more Vitamin C than oranges. Vitamin C is an antioxidant that strengthens your hair shaft and hair follicles, and also prevents breakage. Nothing is more delicious to me than stuffed peppers, and they are so healthy for you too! It is like you’re getting not only a healthy meal but also an intake of nutrients for your hair all in one! Oysters- If you don’t have enough Zinc in your body, you can suffer from hair loss and poor scalp conditions. Whats an easy and yummy way to get your dose of Zinc? How about some oysters! Sunflower Seeds- There is nothing like sitting outside, enjoying the sunshine and eating sunflower seeds. Just a few seeds can supply you with a load of Vitamin E that enhances blood flow to the scalp and promotes faster hair growth. Sweet Potatoes (minus the honey butter of course)– Baked sweet potato in the oven is so delicious and filling. Sweet potatoes contain Vitamin A that not only promotes a healthy scalp but promotes hair growth too. Avocados- Avocados are an age old beauty secret. Aside from being delicious to eat, you can also use them as a shampoo remedy. 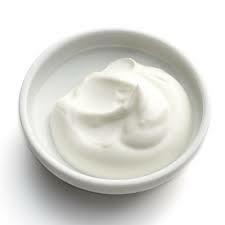 Mix a little avocado with sour cream and apply to your hair and scalp for about 10 minutes before washing it off. The avocado helps to keep your scalp smooth while the sour cream exfoliates dead skin and cleans up the buildup on your scalp. Seriously… it works! Almonds- Almonds have a high biotin content and make your hair grow super fast and thick. I love keeping a little container of them on my desk to snack on throughout the day. If you eat a small amount each day, within a month you will see results! 2 minutes: Step away from the hot tools, there isn’t enough time for that. If I’m looking for a quick and easy look, a braid or sock bun is a good and professional look I can get away with. My other trick is to shower at night and put my hair in either a low bun or braids. In the morning, I take down my hair to get natural beach waves. Any type of hairspray will help to hold the look all day. 2 minutes: I am not big on foundation, but sometimes office lighting can be unforgiving, so I do apply it under my eyes to get rid of the bags. If I feel like putting in a little more effort, I highlight my T-zone (Above the eyebrows and down the nose) to highlight my face. Rub on a small amount of bronzer to help highlight your T-zone. 1 minute: Take a final minute to make your finishing touches. A dab of blush on the cheeks, a dusting of finishing powder or bronzer, your signature perfume- and you’re off to work! 25 Free Ideas For Summer Fun! 1. Hand Sanitizer can be used to combat a shiny face. It smooths like a primer and provides a protective coat locking in moisture which creates the shine on your face. 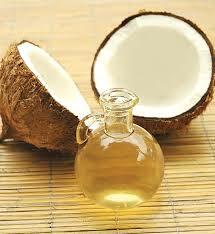 Use it along your hair line and forehead. 2. 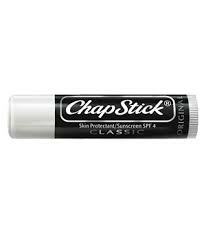 Chapstick on your nose keeps it from drying out! It moisturizes the skin right around your nose and provides instant relief. You can also rub some inside your nose when it’s dry, sore or just uncomfortable. Just make sure you use a separate stick for your nose and lips! 3. Dab a bit of Greek Yogurt on a pimple and let it dry (takes about 20 minutes) before rinsing off with warm water to reduce inflammation and redness quickly. The lactic acid helps unclog pores and breakdown dead skin cells, the probiotics help to balance bacteria and the fat helps to moisturize. Tasty and useful! 4. Have a burn from a hair iron? Use raw honey instead of ice. 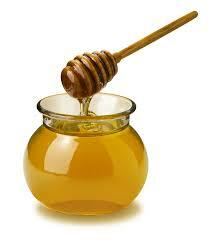 A thick layer will instantly cut the sting while also providing antibacterial protection to keep the skin hydrated. 5. 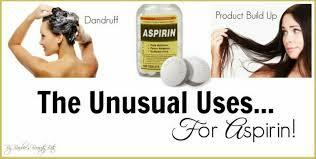 Add 2 crushed aspirin to your favorite shampoo to turn it into a dandruff-blasting product. The salicylic acid from the pills break down dead skin cells and product buildup. 6. 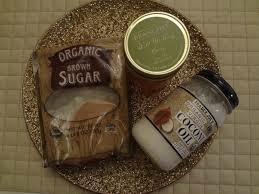 To exfoliate dry feet add 2 tablespoons of brown sugar to 1/2 cups of coconut oil. Mix and then apply this to the feet in a circular motion. No one likes dry feet! 7. 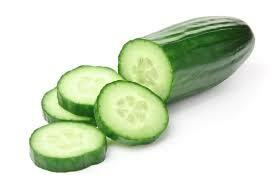 Use cool cucumbers under or over the eyelids to decrease puffiness and inflammation. 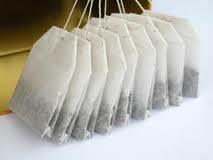 Tea bags work well also! 8. 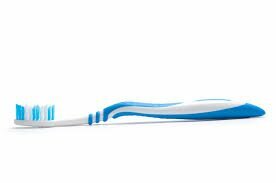 A toothbrush is one of the best tools! Use it to exfoliate your lips by making small, circular motions. A clean toothbrush can also be one of the best tools for de-clumping mascara. 9. Want a longer lasting blowout? Squeeze a small amount of fresh lemon juice on a cotton ball and dab at the root area to absorb any excess oils while leaving your hair with a delightful scent. Yum! 10. Swish coconut oil in your clean mouth first thing in the morning for around 20 minutes for super white teeth and to rid teeth of cavities! Everyone knows how stressful it is to get ready for a date. What to wear? What makeup? What kind of perfume? What do I do with my hair? Add a braid! Turn an ordinary half-up half-down look into something more by making the pony or strands pulled together into a braid or fishtail. You can even make a high pony-tale into a braided high pony! 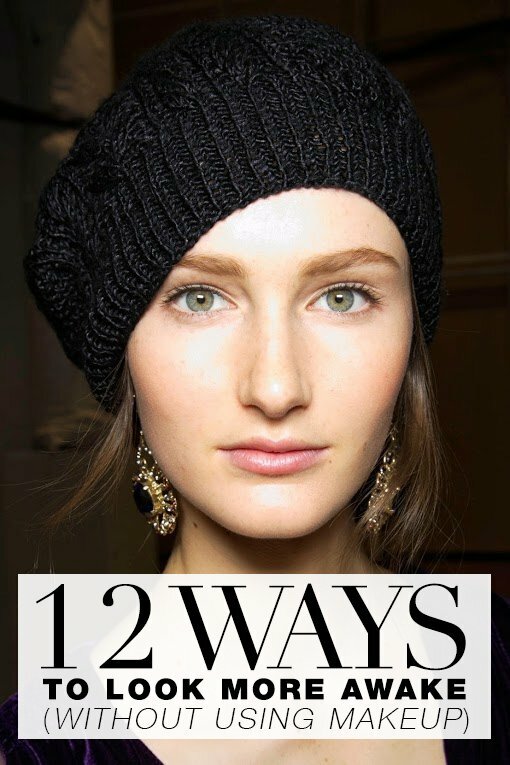 The possibilities are endless…..
Easy to do beach waves! Want to make natural looking beach waves without using a curling iron? After you shower, put either hairspray or gel (specifically a kind used to add curls) in your hair. Put your hair into a low loose bun while you finish getting ready. Right before you go out, take your hair out of the bun and add some more spray to keep the waves nice and tight. Best Summer Foods For Weight Loss! Chilled soups like gazpacho, cucumber-dill or other soups that contain lots of chunky vegetables are a great way to drop pounds. Low-calorie, broth-based soups at the beginning of your meal fill you up so you eat less of your high-calorie dinner. It makes for a great meal replacement or mid-day snack! A plate full of grilled veggies is a must-have during the summer. You can add grilled veggies like onions, bell peppers, zucchini, carrots, asparagus and so many more to your dinner plate for that not only a filling treat! Mix the veggies in a salad, in a pita wrap, or even with some chicken for a light weight and healthy meal.